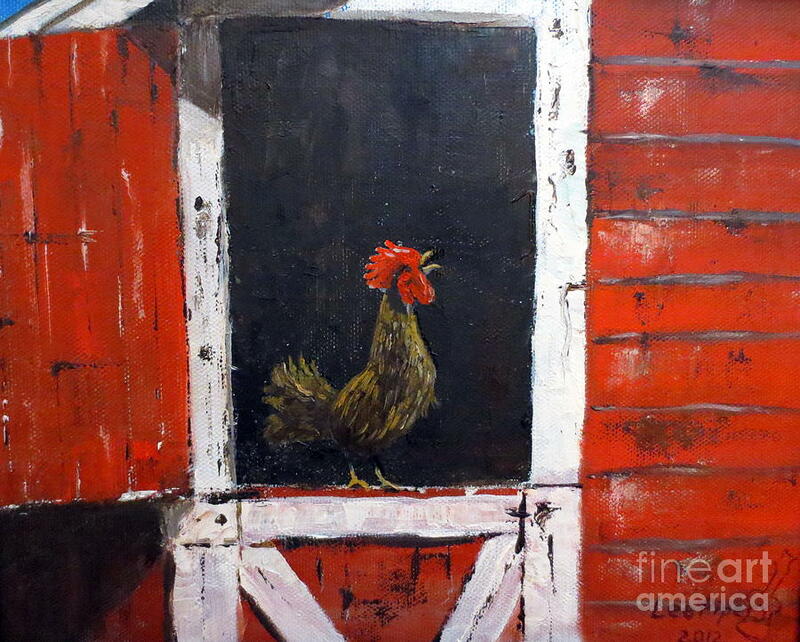 Rooster In Window is a painting by Lee Piper which was uploaded on January 20th, 2013. A rooster calls out the morning alarm. A close view of a Rooster on a window opening getting the day started with a chest full of air and a crow that can be heard for miles. 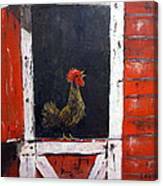 The rooster is framed with a nearly black background of the darkened inside of the barn's interior. 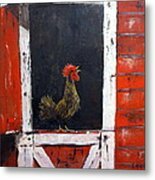 The dark background not only frames the rooster but adds a little mystery in the viewers mind to what else might be going on in the barn, the hens taking care of their babies or maybe a cat looking for mice. At the moment though the rooster seems only to care about waking the rest of the farm animals. Chickens , roosters, poultry, geese , pigs and other farm critters are all starting to get up for the day. Around the opening is a weathered white trim. 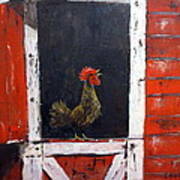 An all red barn with the sun shining causes the viewer to focus directly on the bird. It's all about him and his glorious barnyard, not to mention his hens. It's going to be a good day. This painting is protected by copy wright. Your paintings are very nice. I like the color and compositions. I was so drawn to this lovely rooster, Lee...beautiful painting..and I can almost hear him calling out :) f.v. I came back for this one! The little fella is still crowing his head off. Beautiful as can be. FAVORITE! The composition and texture are excellent. Colors and composition are eye candy for all! AND then a rooster to boot! Well done Lee! Fun and colorful----nice job, Lee-----voted!